Shane Dawson seems to have found his niche in his conspiracy theory videos. - Image courtesy of Shane Dawson YouTube channel. 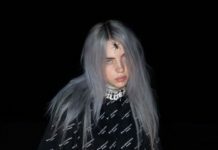 After a several months long break, iconic YouTuber Shane Dawson released his latest highly anticipated conspiracy video on Jan. 30. After the massive success of his eight-part docuseries chronicling the highs and lows of the young, popular and wildly controversial Jake Paul, Dawson raised the bar on the quality and length of YouTube content. He has changed the YouTube game; his more sporadic and lengthy content is directly opposed to what was thought to be the YouTube success formula—content that is 10 minutes long and uploaded regularly. By using his social media to tease his videos, Shane has mastered the art of garnering online attention. But does his latest video live up to the immense hype? His latest video, “Conspiracy Theories with Shane Dawson,” is not the first time Dawson has dabbled in the provocative world of popular and underground conspiracies. However, it’s clear that he is in the process of re-branding this series. Whereas in the titles of the conspiracy videos of the past he’s used all capital titles with clickbait-y buzzwords, this latest video seems more serious. So serious, in fact, that Shane put his name in the title of a video being published on his own channel. It appears that Shane and his co-editor/filmmaker Andrew Siwicki are really pushing the channel into new, more professional territory. With the new changes in YouTube’s policy on conspiracies, this was certainly a smart move to remain monetized and promoted, though this video did suffer a substantial hiccup within the first 24 hours of publication when it was demonetized for referencing the Bird Box challenge. But is it good? For those who love binge-watching, definitely; the video is practically movie-length, after all. And for those here for the actual conspiracies, you won’t be disappointed; Shane explores a plethora of conspiracies throughout the video, not just one overarching theory. As for the Shane fans, what will they think? This video, while it does have its disturbing and ominous parts, is sprinkled with levity from the Shane Dawson troop as they crack jokes and poke fun at the conspiracies that Shane is so committed to. 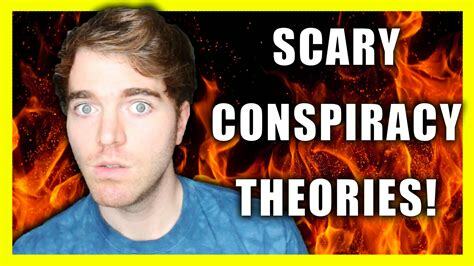 If you have about two hours to spare, I would highly recommend watching “Conspiracy Theories with Shane Dawson.” While part two has been delayed by Dawson at least until Friday, Feb. 8, another feature-length video is indeed on its way.